Don Bristow is a professional photographer, fractal artist and website designer living in Bullard, Texas, with his wife Sandy and dog Teddy. According to Bristow, Mathematics is rich with undiscovered beauty. Mathematics has replaced Bristow’s frequent drives to Yosemite Valley and the Pacific Coast, and his computer has replaced his camera as a tool to capture unique and fascinating images. 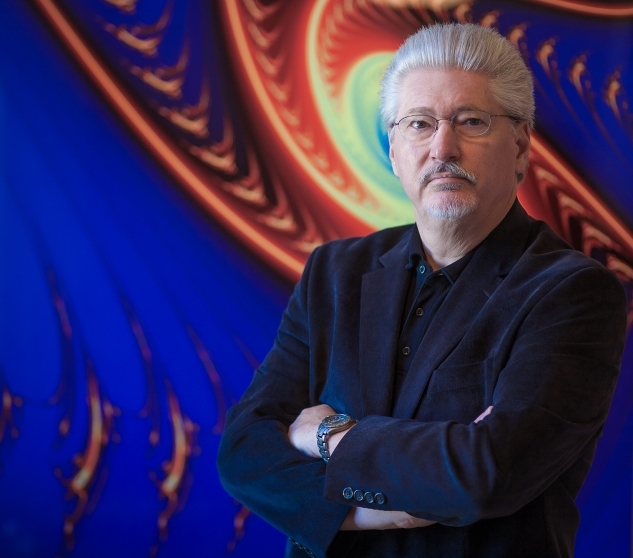 Bristow pours over solutions to equations from the field of mathematics called Chaos Theory, and there he finds landscapes, seascapes, stars and planets – a mathematical virtual universe that looks much like our own. As a photographer by training, Bristow composes extraordinary abstract and representational images, but unlike other art forms the images have the added quality of fracticality. Fracticality can result in much greater detail than a photographic image, and it can cause levels of new details to pop into sight as the viewing distance is changed. Bristow’s commercial photography work has appeared in magazines and newspapers from California to Texas, and his fine art photography work has been featured in California by Artisan Gallery, Centerline Gallery, Doiron Gallery, Gallery W and Taylor’s Nouveau Fine Art Gallery, and in Texas by Gallery Main Street and Caffe Tazza. Bristow’s CHAOTICA has been exhibited in Texas by the Mary Tomas Studio Gallery, Fort Worth Community Arts Center, Arlington Museum of Art, and several other venues. 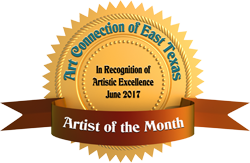 He is represented in Tyler, Texas, by Gold Leaf Gallery and Valerosa Designs & Gallery. CHAOTICA has been featured on the covers of While-U-Wait Magazine in Tyler, TX, and The Commercial Real Estate Network in Atlanta, GA and in Dallas, TX. In addition to these publications, articles about CHAOTICA have appeared in BSCENE Magazine, Bullard Banner News and The Tyler Morning Telegraph. Bristow has been designing and hosting websites for over 15 years. While he has clients that represent a wide variety of businesses, his specialty is websites for artists. Bristow is the IT Director for Bethesda Health Clinic in Tyler, and he serves on the boards of Innovation Advancing Education, Operation Go Quickly, the International Institute of SPORT, and the BBB of Greater East Texas. Bristow encourages and promotes other artists in local and international communities.